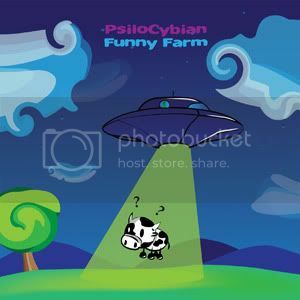 Funny Farm is a collection of three experimental songs by PsiloCybian that were originally written for his upcoming second album. Although inspired, these tracks do not quite fit the album so he is giving them away for free to mark the grand opening of his new web site www.psilocybian.com . The style is certainly atypical, representing an experimental mish-mash of full-on energy, progressive drive, and old school flavouring. In the words of the creator: “Funny Farm stands for art of musical creation for those who see beyond themselves.” Mastering by Deimos with graphic design by PsiloCybian.